See what's underneath the tree with "Santa's Visit." 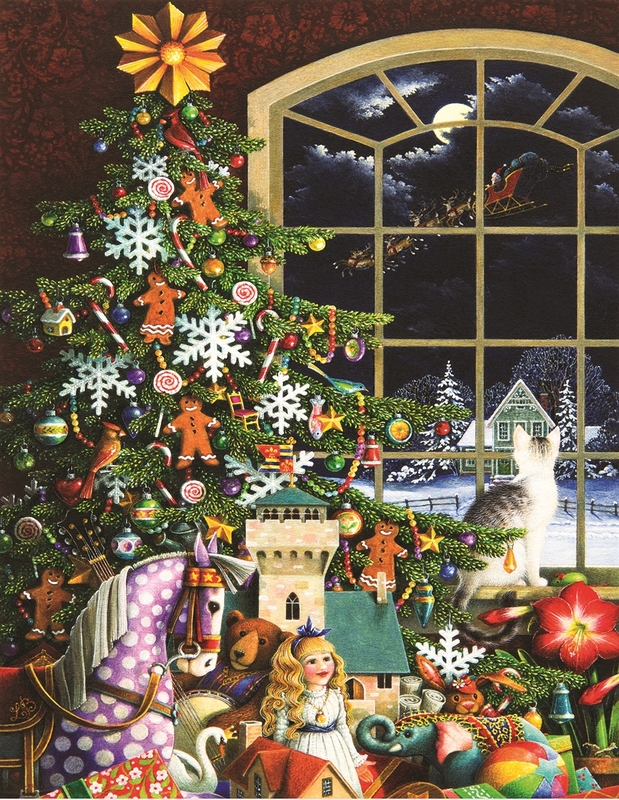 This 500 piece jigsaw puzzle is a vivid illustration of a Christmas tree overflowing with presents of every shape, size and color. I just finished this puzzle after purchasing it a while ago. I was afraid of the tree part. It looked pretty hard. I loved this puzzle and it was a joy to do, and I'm only a medium level puzzler. I'll be doing this one every X-Mas for sure. It's a little easier than it looks.